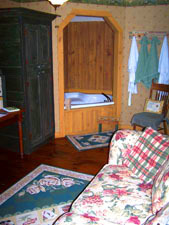 The suite contains a whirlpool, entertainment center, private bath, parlor, bedroom, and fireplace. 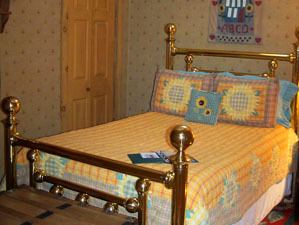 The Sunflower Suite is available for $105 per night. 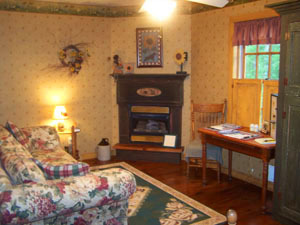 Click Here to request a reservation online.